Join with craft enthusiasts for a cuppa and a chat while developing your latest creation. 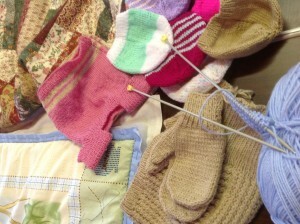 Sewing, knitting, quilt making are just a few interests of the group. Each person takes along their chosen item of beauty and shares the friendship of the group whilst extending their works of art. “Sew what?” meets on a Tuesday at 10.00 a.m. in the Church Hall. 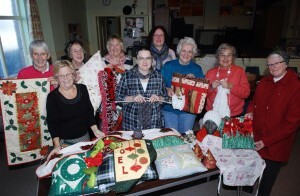 The Sewing Group recently featured in the Annandale Observer. Many thanks to Steve Matthews for his permission in allowing this photograph to be published online. As you can see the members of this group made a vast selection of crafts. These among others were sold for The Guild Christmas Fare which made a grand total exceeding £1000. Well Done ladies!